In March 2015, the U.S. Food and Drug Administration (FDA) approved the first biosimilar in the United States. Three more were approved in 2016; and in 2017, five additional biosimilars were FDA approved. There are currently 600 biosimilar trials being conducted, with at least 146 unique molecules.5 Biosimilars trials are primarily focused on oncology therapy, with a 36% share, and immunology treatment comprises 21% of the pipeline, which means that these two segments account for more than half of the total trials. Unlike the typical generic agents dispensed out of a pharmacy setting for self-administration, current FDA-approved biosimilars require infusions (with the exception of etanercept-szzs/Erelzi, which is dispensed as a patient-administered prefilled syringe). These infusions usually take place at a hospital, doctor’s office, or independent infusion center, and on occasion at a patient’s home, via home health services. By nature, highly complex biologic agents, produced by living cells and developed through an intricate, multistep manufacturing process, are more sensitive to changes in any step of the manufacturing process (see Figure 3). 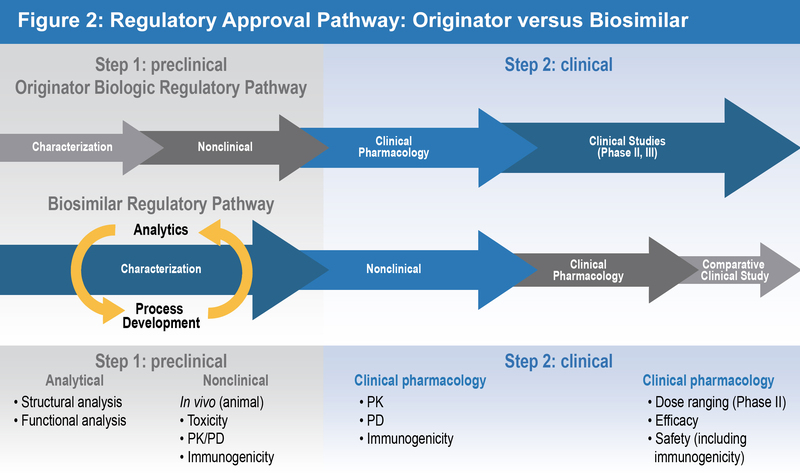 Thus, it is important to recognize that over time these changes in the reference biologic manufacturing process are essentially producing “biosimilars” of the original approved product. 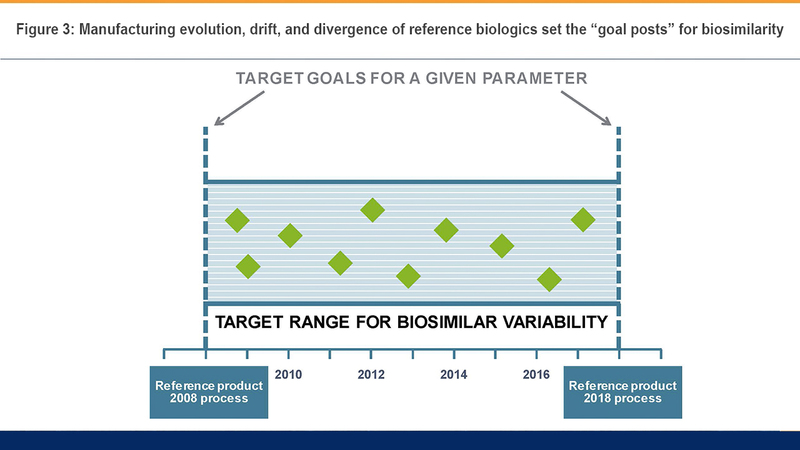 Biosimilars Action Plan: Balancing Innovation and Competition. U. S. Food & Drug Administration website. https://www.fda.gov/downloads/Drugs/DevelopmentApprovalProcess/HowDrugsareDevelopedandApproved/ApprovalApplications/TherapeuticBiologicApplications/Biosimilars/UCM613761.pdf. Updated July 2018. Accessed July 25, 2018. Biosimilars. U.S. Food & Drug Administration website. https://www.fda.gov/Drugs/DevelopmentApprovalProcess/HowDrugsareDevelopedandApproved/default.htm. Updated November 14, 2017. Accessed February 16, 2018. Gerrard TL, Johnston G, Gaugh DR. Biosimilars: extrapolation of clinical use to other indications. GaBI J. 2015;4:118-124. Camacho LH, Frost CP, Abella E, Morrow PK, Whittaker S. Biosimilars 101: considerations for U.S. oncologists in clinical practice. Cancer Med. 2014;3:889-899. Purple Book: lists of licensed biological products with reference product exclusivity and biosimilarity or interchangeability evaluations. U.S. Food & Drug Administration website. https://www.fda.gov/Drugs/DevelopmentApprovalProcess/HowDrugsareDevelopedandApproved/ApprovalApplications/TherapeuticBiologicApplications/Biosimilars/ucm411418.htm. Updated February 2, 2018. Accessed February 16, 2018. Weise M, Kurki P, Wolff-Holz E, Bielsky MC, Schneider CK. 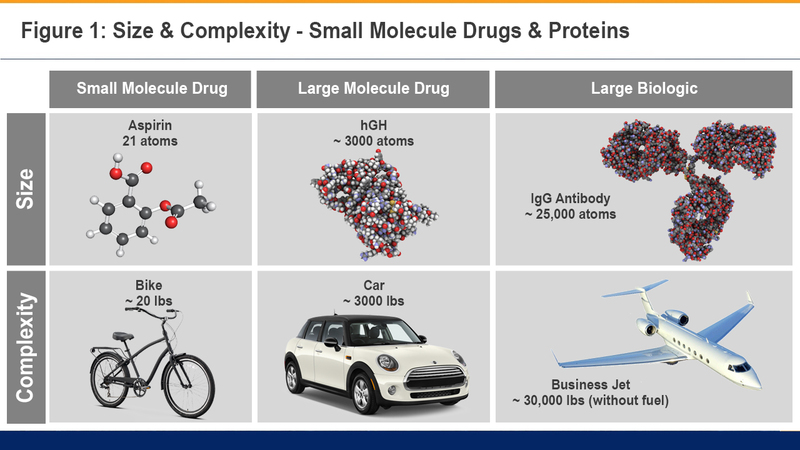 Biosimilars: the science of extrapolation. Blood. 2014;124:3191-3196. Ramanan S, Grampp G. Drift, evolution, and divergence in biologics and biosimilars manufacturing. BioDrugs. 2014;28(4):363-372. Mehr SR, Zimmerman MP. Is a biologic produced 15 years ago a biosimilar of itself today? Am Health Drug Benefits. 2016;9(9):515–518. Schneider CK. Biosimilars in rheumatology: the wind of change. Ann Rheum Dis. 2013;72(3):315-318.